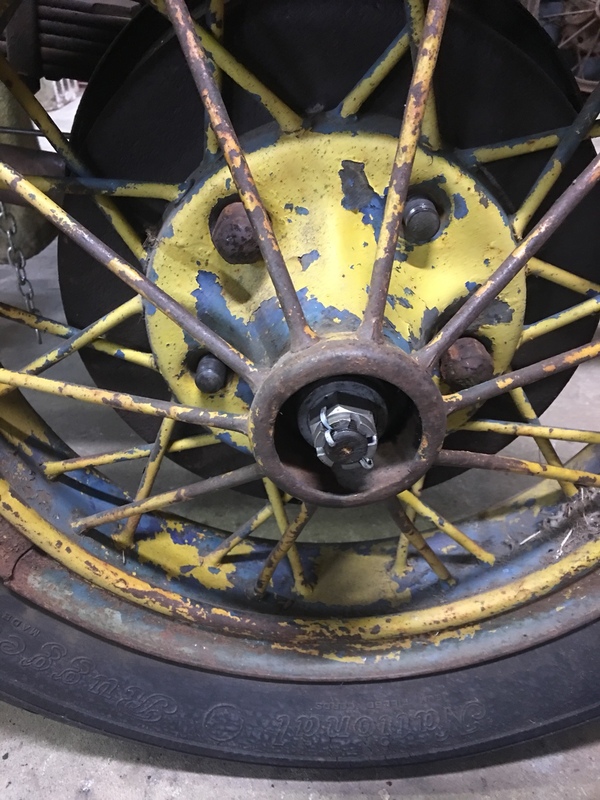 I put some wire wheels on a August 29 AA with a worm gear rear end and I noted that the axle and axle nuts stick out of the rim about 1/4 inch on both sides. Anyone know possible cause? I checked several of my 28/29 rear axles which have the steel spoke wheels and the axles are out further than the wheel. However, it looks to be less than 1/4". Have you tried installing a hub cab to see if there is clearance? Some hub caps are flatter than other from my observation. 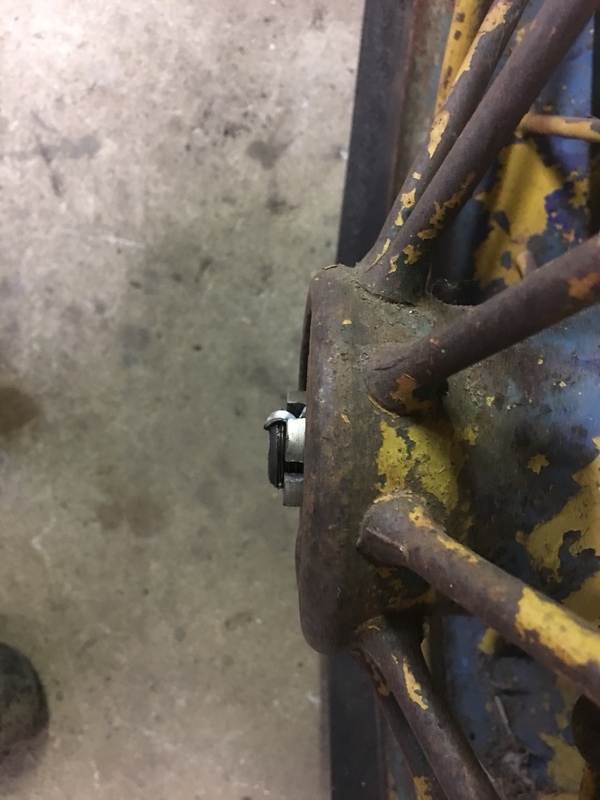 I have seen the use of a thin brass shim wrapped around the end of the axle (keyway exposed). This results in the wheel hub being moved out. I have not done this myself. My wheels look the same way... the hub caps still go on. There should be no problem. I will try and install some hub caps tonight. I was worried the rear end went together wrong. FYI - If you assembled the rear axle from other axles, then the worm drive without emergency brakes had longer axles than the worm drive with emergency brakes. This is true BUT if he used later 29 axles on 28 housings wouldn't the drum stick off quite noticeable? 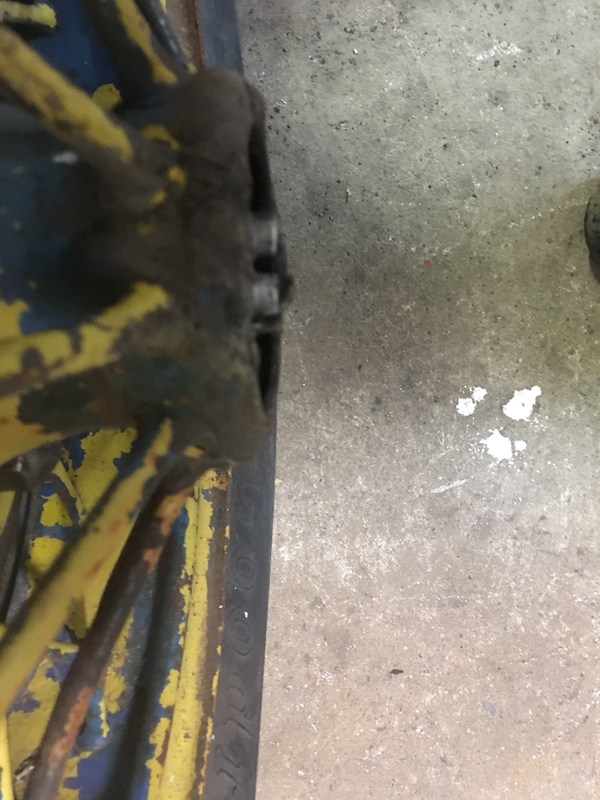 Also im pretty sure the taper portion of both drums/hubs and axle shafts are in the same spot thus axle sticking out wouldn't make a difference. 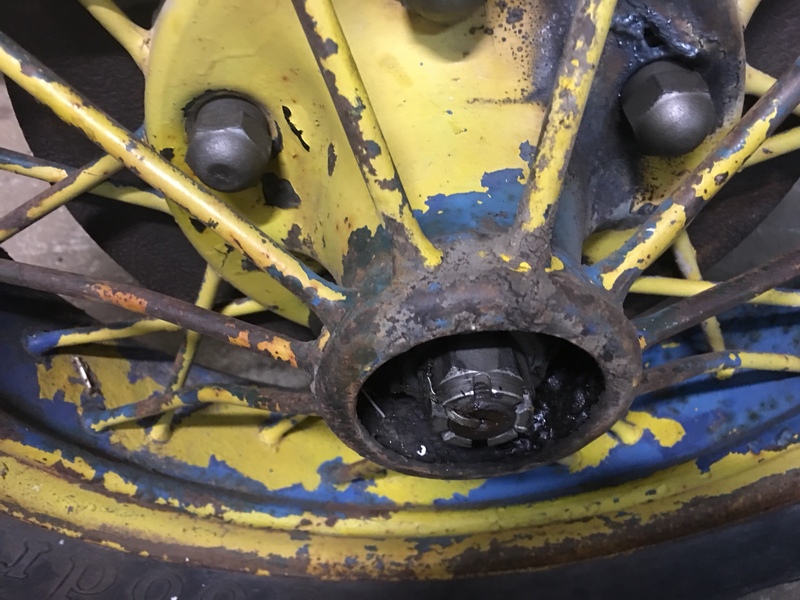 Hub caps will not clear the axles -to long. The rear end was disassembled to install inner seals but axles were what came out of it. I believe I have enough room to cut 1/4 inch off nut and axle and then re-drill a hole for cotter pin. I would try the shim fix I mentioned above before cutting the axles. Just my opinion.